Water Skiing Speed: How Many Miles Per Hour Is Best? Julie Bostian is a water sports writer focusing on water skiing, boating, wakeboarding, and parasailing. Different boat speeds are suited for different types of water skiing activities. Before heading out onto the water, you should know how to determine and set the right boat speed for your sport, whether it's water skiing, wakeboarding, kneeboarding, barefooting, or jump and trick skiing. You should also make sure to follow appropriate safety guidelines. Water skiing is not as simple as having the right skis and a towboat moving at the right speed. There are various other factors that will affect your skiing experience. One of the most important is choosing the right towboat. You always want to make sure that the boat you are using to tow a skier is capable of maintaining the proper speeds required and is equipped with a ski rope and handle. The rope should be about 75 feet long to give the skier sufficient room to maneuver. Many recreational boats such as bowriders, deckboats, cuddy cabins, and jetboats used for cruising and fishing can also serve as water skiing platforms. Some ski boats may have v-drives (motors in the rear of the boat) specially designed to create bigger wakes. 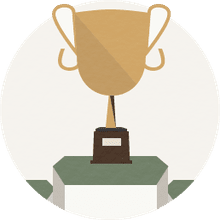 For competition skiing, specially designed towboats are required, as most towboats have small hulls and flat bottoms to minimize their wakes. Tournament ski boats will reach much faster speeds and have direct drive motor shafts that center their weight for an optimal wake shape. The skier must know how to swim. A specially designed life jacket or ski vest is a requirement for the skier—it allows for movement and serves as a flotation device in the event that the skier is injured. 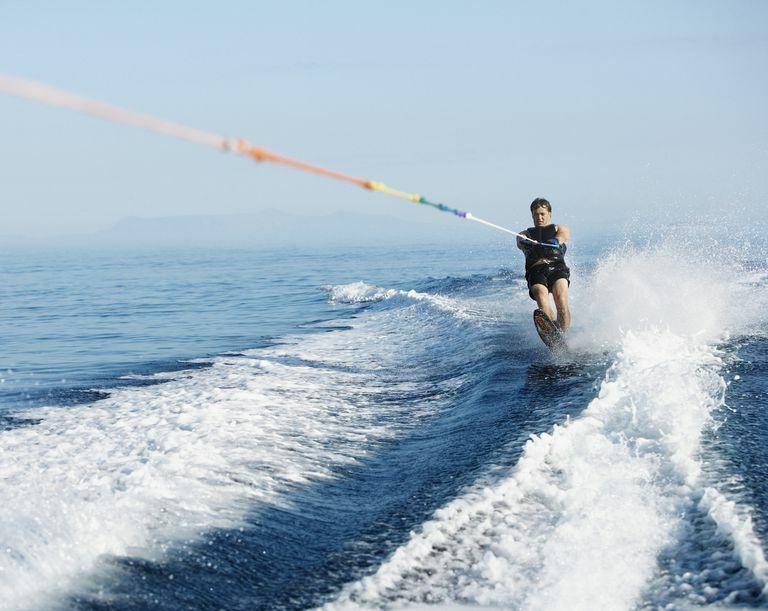 Calmer waters are ideal for recreational water skiing, and there must be enough space for the water skier to safely assume the upright skiing position. You should have sufficient skiing space of at least 200 feet wide, and the water should be at least five to six feet deep. Your towboat should be at least 100 feet from the docks, swimming areas, and the shore. Skiers and their boat drivers must allow themselves enough room to avoid any hazards. A driver and an observer must be in the towboat at all times when a water skier is being towed. The driver maintains a steady course and looks out for any obstacles, while the observer watches the skier to monitor their condition. Before going out onto the water, the skier and observer should discuss and agree on hand-signals to indicate when to stop, speed up, turn, etc. Keep in mind that these are suggested speeds for an adult of average height and are not meant for children. A child on two skis will require a speed of 13 to 16 mph, whereas an adult on one ski might require as high a speed as 36 mph. Ideal speeds will vary depending on the skier's weight, experience level, comfort level, and the type of skis they are using. What Are the Best Ski Brands for Any Type of Skiing?